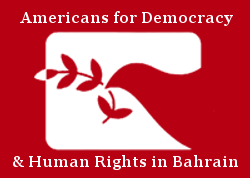 21 March 2019 – Bahrain’s pro-democracy movement has evolved into a borderless campaign, one that has garnered political support across the globe through citizens’ initiatives, NGO campaigns, and government-sanctioned policy plans. The level of attention evidenced by the people of Ireland to the deteriorating human rights situation in Bahrain, a country thousands of miles away, is a testament to Ireland’s commitment to essential norms and values that guarantee basic freedoms, and a testament to the hard work and diligence of the Bahraini human rights community. The Republic of Ireland and the Kingdom of Bahrain share a unique relationship, by virtue of both being small island nations with an equally small population of inhabitants. Parallels can be drawn from both Irish and Bahraini history, including long periods of British rule, followed by a robust and politically active civilian population in response. These similarities have not remained solely historical; rather the solidarity between Bahrainis and the Irish people has increased over time. Over the last year alone, members of Ireland’s lower house, the Dáil as well as its Senate, have consistently raised the issues facing ordinary Bahrainis to the government and its relevant ministers. As ADHRB reported last November, over 70 members of Ireland’s Dáil Éireann (TDs) expressed “grave concern over Bahrain’s suppression of civil and political society ahead of the Kingdom’s parliamentary elections” in a letter to TD Simon Coveney. That number amounts to more than 44% of Ireland’s principal chamber. The letter noted the dissolution of political societies, the closure of independent newspapers, and the imprisonment of political opposition leader Sheikh Ali Salman and human rights defenders Nabeel Rajab, Abdulhadi AlKhawaja, Hassan Mushaima, Abdulwahab Husain, and Dr. Abduljalil AlSingace. However, this concern from the Irish political bodies is not new; in 2012 then Tánaiste (Deputy Prime Minister) and Minister for Foreign Affairs and Trade Eamon Gilmore TD released a statement highlighting his concern over the conviction of 18 medical professionals following the 2011 protests. He paid particular attention to Dr. Ali al-Ekri, who had trained at the RCSI Dublin and who received a five-year prison sentence. Irish advocacy on Bahrain also occurs on the regional level, with questions asked at the highest levels of government regarding the actions of the Bahraini authorities over the last eight years. Ireland along with its 27 other EU counterparts and allies, have raised the various human rights abuses that have taken place in the Kingdom of Bahrain since 2011. They have sought to inform the wider international community on the deteriorating human rights situation concerning political prisoners, prison conditions, religious discrimination, the banning of political and civil society organizations, denationalization, and the many other rights abuses taking place there on a daily basis. Each year from 2012 to 2015, Ireland signed on to joint statements on Bahrain at the UN Human Rights Council, condemning human rights abuses, while simultaneously calling for the introduction of the recommendations made by the Bahrain Independent Commission of Inquiry (BICI). In addition to the political and historical connections between Ireland and Bahrain, there are significant economic and immigration ties between the two States. Bilateral trade between Bahrain and Ireland amounted to €43 million, not an insignificant amount considering the geographical positioning of both sovereign nations. There are currently almost 800 Irish citizens living in Bahrain, which is regularly billed as a destination country for Irish people, despite the suppression of its native peoples. Therefore Ireland has a vested interest in observing governmental policies that adhere to international human rights law and obligations, and ensure that the government of Bahrain respects the same civil liberties that Bahrainis would freely enjoy in Ireland, both for Irish and other foreign visitors as well as its domestic population. Comments made by Minister for Foreign Affairs and Trade Simon Coveney in February of this year highlight the government’s attitude to the human rights situation in Bahrain, and indeed the future relationship Ireland hopes to have with the Kingdom and its people. “The human rights situation in Bahrain is deteriorating, and is a matter of growing concerns. Despite the Bahraini Government stating its commitment to improving its human rights record, citizens in Bahrain are living in an increasingly restrictive society. In recent years there has been further erosion of fundamental freedoms, including freedom of opinion and expression. Ireland has proven itself to be a champion of human rights, democracy, liberty, peace, and the rule of law. The empathetic nature of its people and politicians towards Bahrain’s pro democracy movement appears to be consistent, and will undoubtedly continue to grow amid the recurrent indifference evidenced by the AlKhalifa royal family to the democratic will of the people. It is our mission to see the Irish government continue bringing serious issues to the fore of international debate and we wish the department of foreign affairs, and its Minister, Mr Simon Coveney TD begin the process of leading a joint statement at the United Nations Human Rights Council in June later this year.